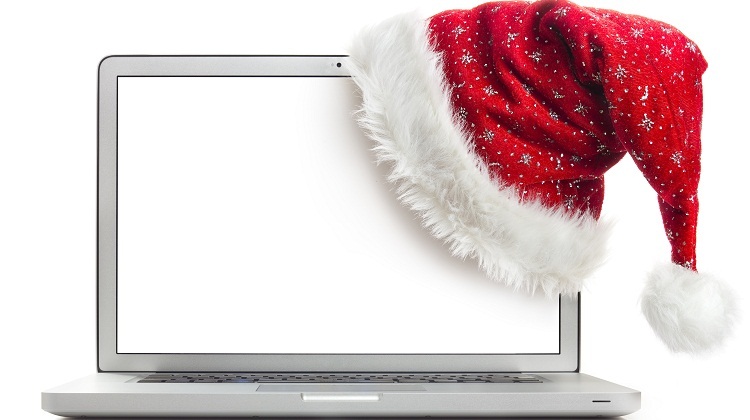 Get ready for a holiday season of digital shopping. More consumers are expected to turn to this Internet this year: The National Retail Federation is reporting that based on its annual survey, 56% of U.S. shoppers plan to make their purchases online, the most in the survey’s 13-year history. Expect large crowds in stores this month. According to ShopperTrak’s predictions of the busiest shopping days this holiday season, seven of 10 are in December. The last Saturday before Christmas – also known as Super Saturday – takes the No. 1 position for heaviest anticipated traffic, surpassing even Black Friday, the day infamous for intense crowds and even inter-shopper brawls. The Internet offers the perfect alternative for consumers who would prefer a lower-key shopping experience. By making your purchases online, you won’t have to make your way through throngs of shoppers. And that’s not all – you’ll also skip the headaches caused by blaring Christmas music and hours standing in line. If concerns about late deliveries are stopping you from ordering gifts online, rest assured. After problems with delays during last year’s holiday season, major delivery services are stepping up their game this year to better serve customers. Now that shippers have beefed up their staff and hours, you can expect packages to arrive right on time this year. FedEx announced in the fall that it would be hiring 50,000 seasonal workers to handle the expected increased volume. The positions, which include every stage of the process, from package handlers to drivers, total 10,000 more than last year’s planned hires. Competitor UPS is also upping its numbers by 10,000, with up to 95,000 seasonal jobs planned. Both companies came under fire for major delays last holiday season. It’s not just shipping companies that are expected to deliver faster this year. The U.S. Postal Service is also expanding its scope. The national mail carrier (which, by the way, was not beleaguered by the delays facing its courier competitors in 2013) began offering extended service, seven days a week, on Nov. 23 and is continuing the service until Dec. 25. That’s two extra weeks, compared with last year. Whether it’s time or money you could use more of, the Internet has you covered. When it comes to saving cash, take advantage of the breadth of choices available online to find items in your price bracket. Online stores make it easy to sort your search by price or even filter your results to a given range. Compared with shopping in a store, when you’re looking for gifts online, you’ll be less likely to get fed up and settle for an item more expensive than you’d prefer. Furthermore, online shopping lets you save gas money – no need to leave the house to hit the stores, as long as you have a stable Internet connection. And, with a host of free shipping deals during December, you won’t lose those savings paying delivery expenses. As for time, you’ll cut down on unnecessary hours spent driving to and from stores, looking for parking, wandering in the aisles to find what you need and waiting in the checkout line. When you shop online, it’s hard to avoid the reviews and ratings that appear alongside the product. That’ll keep you from purchasing a microwave that looks great in the store, but turns out to stop working after a month – a handy fact you might have known had you searched for the item online. By limiting your options to the highest-rated products and skimming the reviews, you’ll be able to identify the products that best meet the needs of the friends and family on your shopping list.